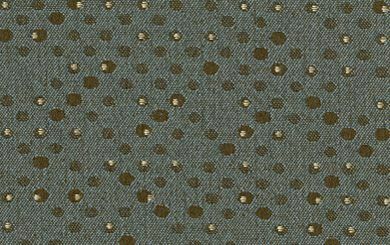 Damon Bluestone is a contract grade, all over pattern of random dots over a subtle diamond design that creates an almost 3D effect. In Chocolate, Blue Grey, Stone Grey and Vanilla this pattern will work for Hospitality, Healthcare, Corporate, Institutional and Residential. Damon is suitable for drapery, curtains, cornice boards, pillows, cushions, bedding, headboards and furniture upholstery. Coupon Terms & Exclusions - Samples always ship free without a coupon. For $149+ orders of eligible items enter code shipfree for free UPS Ground shipping to US destinations other than HI & AK.